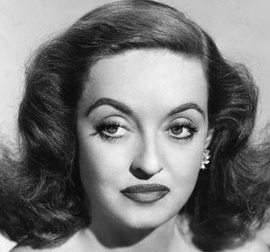 Didn't Bette Davis have the most fabulous eyes ever? I mean the "All About Eve" sort.....not the "Whatever Happened to Baby Jane" look. (She was such a fantastic actress). So, you can imagine how happy I was this morning when I looked in the mirror and saw just that. Eve eyes. Well, not exactly, because it was only one eye. How weird is that? Lucky for me they evened out after I was up for a while. The creases in my cheek went away too. New rule. Don't look in the mirror for at least 1/2 hour after waking. Time to watch "All About Eve" again. A great classic that won the Academy Award for Best Picture in 1950. 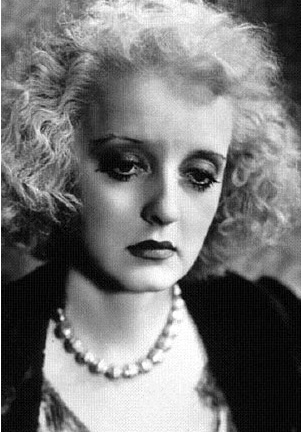 "Fasten your seat belts, it's going to be a bumpy night"
Bette Davis...one of the best!! And yes...her eyes were definitely something to behold. Cheers, Jenn. I have less Bette Davis eyes and more of a Panda thing happening first thing in the morning.